The Sony NEX-5T is an update of the firm’s NEX-5R model, introduced last year. It retains all of the features of its predecessor including the same 16-Mpix APS-C sized CMOS sensor but adds adding NFC (Near Field Communication) enabled WiFi. Read on to find out how well the camera performs. Announced in June this year, the K-50 is an accessibly priced environmentally sealed DSLR featuring a built-in stabilization and a 16-MPix APS-C size CMOS sensor. 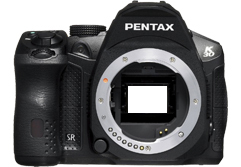 As Pentax has yet to introduce a full-frame DSLR to the range the K-50, like others before it, can benefit from one of the largest lens ranges designed for the smaller APS-C sensor. The result is an appealing and unsurpassed range of compact and highly portable primes and zooms. We have analyzed the optical properties of 28 different models in total from Pentax as well as third-party makers, mounted on the new K-50, to help you in your selection either when buying new for the first time or when simply choosing which lens to take with you on your next shoot. Pentax K-50 review: attractive performance but is there any improvement on earlier iterations? Following on from the distinctive styling of the K-30, the new Pentax K-50 is a mid-range, sensitively priced DSLR featuring a tried-and-tested stabilized 16-MPix CMOS sensor with fine-tuned image processing and sensor sensitivity of up to ISO 51,200. Read on to see how well it performs in our labs.